Law & Language focuses on language analysis as a tool for understanding the law. The course should be superb preparation for anyone contemplating law school. 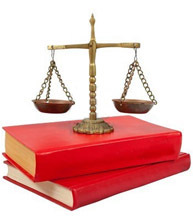 LIGN 105 may be used as one of the elective courses for the minor in law and society, as one of the 12 courses for the major in linguistics, and as a general elective by anyone curious about the intersection of law and language. There are no course prerequisites. What is Law and Language About?